Linda Brescia lives and works in Sydney. Her work investigates the complex experiences of everyday life through painting, photography and performance. Using personas she creates characters that are re-introduced and performed in domestic and social environments. 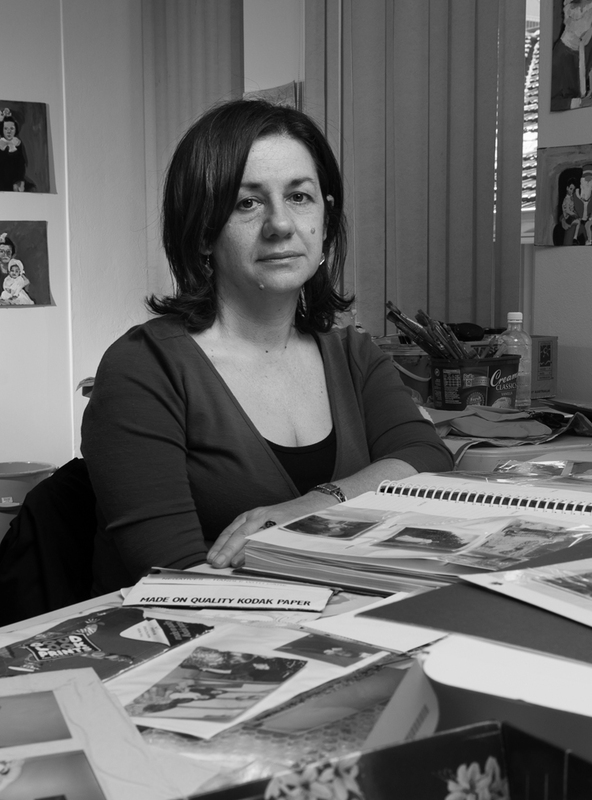 Linda has exhibited in solo and group exhibitions since 2009 Including SafARI Live, 2014 , Exit Pursued by a Bear and Faithless (on the Llamb), Sheffer Gallery, 2013, Life and Death, MOP, 2012, Mini Print International Awards – Asia Pacific, 2012, Showdown, Sheffer Gallery, 2011, Loop, Fairfield Museum and Gallery, 2011, Common Factor, Trapezium Gallery, Western Sydney Institute TAFE, 2010, Living Liverpool, Casula Powerhouse Art’s Centre, 2010, Licorice Allsorts, King Street Gallery on William, Curated by Peter Fay, 2009 and Welcome to the Death Show, Parramatta Artist Studios, 2009. Linda has been awarded the Fishers Ghost Art Award Sculpture Prize in 2011 and 2009, Australia Council of the Arts $10.000 Artstart Grant in 2010 and is currently a resident at Parramatta Artists Studios. Her work has been collected by Casula Powerhouse Arts Centre, Artcell Collection Management and Private Collectors.